The new comic book series entirely burned on wood, Bartholomew of the Scissors, has sold out throughout the US in record time. The unique series has captured the attention of media and fans alike, due to its organic approach. For the first time, 44 wood panels that comprise the first two issues of the four part series will be displayed at a gallery show in Denver. 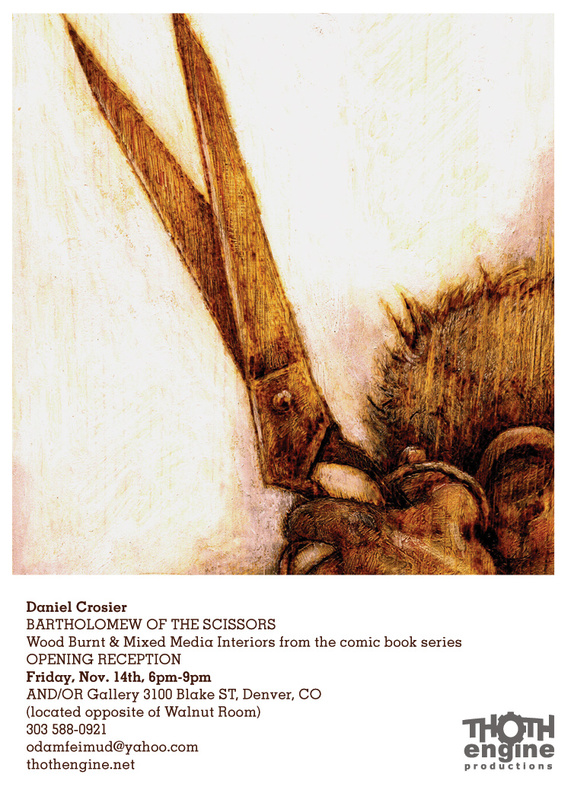 Artist Daniel Crosier will be on hand at the opening reception to speak into the creative process.